If you are facing foreclosure in New Hampshire, please see below for the step-by-step process. When you develop a definite plan of action with well-timed, well-informed steps, you can stop the foreclosure process and save your home. We have outlined the foreclosure process for the state of New Hampshire. Foreclosures made on mortgages with power of sales clauses. Foreclosures made without power of sale clauses are conducted similar to strict foreclosures, in which the lender must work to obtain possession of the premises. Foreclosure made with power of sale clauses revolve around giving the proper notices and conducting proper foreclosure sales. Although mortgages with power of sale clauses are much more common than those without, it is still possible to have a mortgage without a power of sale clause in New Hampshire. 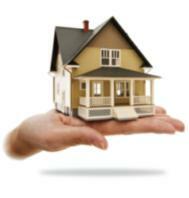 In this event, the foreclosure works much like strict foreclosure in other New England states. In order to foreclose, a lender must recover possession lawfully, and hold it for a required length of time (one year in New Hampshire), before title becomes final in the name of the lender. There are three ways to recover possession. In entry under process, the leader files a lawsuit and obtains a court order authorizing entry. In entry and subsequent publication, the lender peaceably enters the premises and continues occupation for a year. An affidavit from the party and witnesses as to the time, manner and purpose of the entry should be recorded. A notice stating the time at which the possession by the lender for the purpose of foreclosure was commenced should be published three weeks successively, with the first publication to be at least six months before the right to redeem would be foreclosed. The notice should give the date of the mortgage and a description of the property. A copy of the notice, and a sworn affidavit as to when, where, and how it was published should also be recorded. In possession and publication, the lender already is in possession and simply publishes a notice stating that from a certain day forward, the lender retains possession because the mortgage conditions were broken by the borrower, and that the purpose of the lender’s continued possession is foreclosure. The date of the mortgage and a description of the premises should also be stated. The day stated in the notice should be no later than four weeks after the initial advertisement. The notice should be published in a newspaper of general circulation in the county where the real estate is located. A copy of the notice and an affidavit stating when, where and how it was published should be recorded. It is possible to foreclose a mortgage with a power of sale clause in New Hampshire by filing a lawsuit in court and obtaining a court decree commanding the sale of the property, with a confirmation of the completed sale by the court. On the other hand, it is much more common to publish and serve notice of a foreclosure sale in the proper manner, and then sell the property at the sale to the highest bidder. A foreclosure sale without court action must be preceded by the appropriate notices. The borrower must be sent a notice at least 25 days before the sale. The notice should contain the following warning: "You are hereby notified that you have the right to petition the Superior Court for the county in which the mortgaged premises are situated, with service upon the mortgagee ( lender), and upon such bond as the court may require, to enjoin the scheduled foreclosure sale." Unless the borrower sues prior to the foreclosure sale, the borrower may not challenge the foreclosure in court at a later date. The lender should also publish a notice of the foreclosure sale once a week for three weeks in a newspaper of general circulation in the county or town where the property is located. The first publication must not be less than 20 days before the foreclosure sale. The actual foreclosure sale must be held on site at the house or on the real property that is being foreclosed,unless the mortgage specifies a different location. A report of the sale must be made in ten days. The person who sells the property at the foreclosure sale must record the deed, a copy of the notice of sale and an affidavit describing the sales procedure to be recorded within 30 days of the sale. Title passes with the recording of the deed.